This holds true in the business world. When offering member benefits, you want to make sure you’re working off good assumptions so that your efforts yield good results. But there are a lot of misconceptions floating around that organizations, associations and other companies have believed for years. Below, we try to debunk some of those myths so you can maximize your efforts with a few small changes to your thinking. We say better benefits = better loyalty. It is true that your membership must offer real value in order to inspire loyalty. But some associations mistakenly feel that to offer more value, they need to pack on extra value-added benefits. The more the better, right? Members will probably be delighted with that strategy. After all, more is better for them. It’s just not necessarily better for you, as it won’t have the effect you’re looking for. You want members to be loyal to you, not to your stuff. A member loyal to you will always be loyal to you. A member loyal to your benefits can be wooed away by someone with shinier benefits. We say discount programs need to be used and loved to be of value. A quality discount program will offer exclusive discounts on everyday expenses. Members will then see it as a way to offset dues by saving money on things they’ll have to buy anyway. Unfortunately, there are discount programs who’s best selling point is “free to businesses." Some even offer those businesses the opportunity to monetize their membership by earning back end revenue on member purchases. This may seem at first glance like a really attractive benefit. However, these programs are typically full of low percentage offers, online only discounts, offers available to the public (not exclusive), etc. At their best, offers like these don’t inspire much usage. At their worst, they’ll be seen as a trick or false promise. Feelings of disappointment when members expect delight are hard to repair. We say technology actually makes it pretty easy to measure member engagement. A little more difficult is deciding how to evaluate and quantify the data you’re able to collect. Some associations may worry that they’ll never be able to see if their loyalty program benefits are effectively raising engagement levels among members. But you can use the data to answer questions like these and even help you decide how to move forward. Having a data-driven approach to member engagement can help you treat your members as individuals. You can identify those with low engagement who may be at risk to let their membership lapse. Those members may need more targeted communication than a member who routinely interacts with your website. When it comes to engagement, knowledge is power. We say loyalty is not the same thing as repeat business, but can lead to it. That’s because loyalty is not an action, it’s an emotion. Chasing membership renewals is putting the cart before the horse. If you put the effort into building strong relationships first, the end result will be the repeat business you’re seeking. Not only that, it can lead to a lot of other positive member actions like glowing reviews, referrals and more. Organizations are learning quickly that acquiring new members is important, but not as important as cultivating stronger relationships with existing ones. Especially when they learn that retention is actually cheaper than acquisition in the long run. The downside of ignoring the important step is even clearer. In one survey, among the customers who left a company, 68% (by far the largest segment) reasoned it was because they believed the company didn’t care about them. We say every person in your association should have stakes in your loyalty strategy. Employee engagement takes a concentrated effort from every person in your organization. Too many companies leave it to HR, or those who are the face of the organization. Of course, employee engagement is an important place to start to ensure those who deal directly with members are effective in their efforts. In reality, every employee should internalize the responsibility to maximize the member experience. You’ll do this by setting and communicating a shared purpose, then empowering employees and rewarding them for furthering it. It may take some effort, but the rewards are great. When employees have shared values and commitment to a common mission (also known as self-governing), an organization is nine times more likely to have high customer satisfaction than other firms. 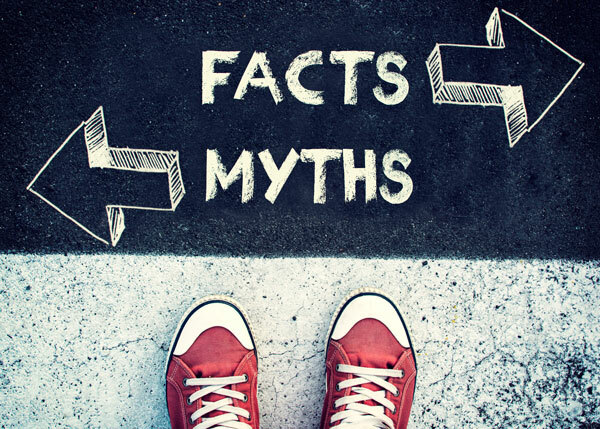 If you’ve found yourself operating under any of these misconceptions, try changing your way of thinking and see how that affects your strategy. It may just be the boost you need to take your efforts from acceptable to exceptional. And if you need any help, contact the loyalty experts at Access Development who have helped many associations develop awesome programs to engage and retain members for years to come.